This post is made possible by support from Clean Air Moms Action. All opinions are, of course, my own. Before I wrote this post, I printed out a few pages of material from Clean Air Moms Action to refer to while writing the post. I laid them on my bed so they wouldn’t get lost in the sea of papers near my laptop. Little did I know that while I was on a lengthy phone call for work, my father-in-law had left our back door open (again) and the cats had taken advantage of the opportunity for fresh air (again). I got the cats back into the house and went about my day. It was not until later that I found my Clean Air Moms Action materials, covered with the stomach-turning, grassy results of the cat’s adventure outside (I’ll spare you a picture … it was disgusting). The irony was not lost on me. The cat’s adventure in the fresh air ended up introducing contaminants that destroyed my “clean air” materials, something that didn’t impact that cat’s feelings at all. I had to start over. The principle of “you only get one opportunity” is especially true when it comes to our children’s environment. Whereas I wrote recently about a multitude of issues, such as fair wages, the fight for paid sick days, and immigration reform after I participated in the We Won’t Wait 2016 conference, there is another set of issues I want to share: that of the threat to our children’s health from harmful pollution, climate change, and toxic chemicals. While I wrote in a previous blog post about the frustrated tears I shed the day my child was sent home for a third day in a row because the school nurse did not deem her hair lice free yet, that was nothing compared to the challenges children with asthma (and their families) face. Approximately 1 in 10 children in Florida have current asthma. For African-American children, the risk is higher (approximately 1 in 6). Incinerators, metal producers, power plants, chemical manufacturers and other industries ring the city [East St. Louis]. Exhaust from cars and trucks on nearby highways blankets the area, as well. The Florida Asthma Coalition describes other factors necessary to create a healthier environment for children, including promotion of influenza and pneumonia vaccinations; indoor air quality improvements including smoke-free air laws and policies; healthy homes, schools and workplaces, and improvements in outdoor air quality. I’ve heard of teachers who were resistant to the additional work involved in implementing asthma-friendly measures until they were forced to breathe through a straw to understand their students’ struggles. I’ve heard of a school which worked hard to become a Florida Asthma Friendly School after losing a classmate to asthma. Asthma can sound abstract until it’s your child. These initiatives are anything but abstract when it is your child struggling to breathe, your income or job on the line because your employer doesn’t provide paid sick leave, your heart breaking because you can’t protect the most important person in the world to you, your child, from the pollutants in the air they have to breathe to stay alive. At Healthy Kids, I heard the desperation in parents’ voices as they sought an affordable health care solution that would give a child with asthma access to a medical home, critical supplies and medications, and an asthma management plan. I have heard my friends struggle to find affordable housing that has hardwood instead of rugs (to reduce allergens). I have seen them sacrifice financially to purchase allergy-free bedding and make other accommodations to help their child cope with the effects of pollution on their lungs..
Mayor Christine Berg, of Lafayette, CO, is researching candidates because as the parent of a young daughter who is preparing for the birth of her second baby, she believes, as I do, that the stakes couldn’t be higher. When evaluating your candidates for the presidency, state offices, and local offices, please consider the candidates’ positions on issues like clean air, climate change, and toxic chemicals. Anyone who knows me or follows my social media knows I’ve promised to vote. But I’m not just asking you to promise to vote November 8. I’m also asking you to promise to vote for the city or county commissioner who recognizes, for example, that obesity is a factor in asthma and supports playgrounds. For the gubernatorial candidate who prioritizes cleanup of waste sites and contaminated water. For the senatorial candidate who supports the Clean Air Act. Learn more at the Clean Air Moms Action website by clicking here. Follow Clean Air Moms Action on Facebook by clicking here. Follow Clean Air Moms Action on Twitter at @momsaction. Follow Clean Air Moms Action on Instagram by clicking here. We will all breathe easier once we make our voices heard with the candidates running for office. When I read audiobooks, sometimes a passage goes by and I find myself driving along, thinking “did I really hear what I think I heard?” That was the case in a passage of Dreams of Joy by Lisa See when the protagonists are traveling from Shanghai into the countryside, to rescue a family member from starvation during the Great Chinese Famine. As Pearl drives along, she and her companion discover a field where people are in holes. The people are alive, but they can’t get out of the holes (they have been left to die). At first Pearl sees just one person, and she is starting to think of how she can rescue the person. Then she sees that the field is filled with others in the same situation. She is resigned to the fact that she can help no one as her companion Z.G. reminds her that they are on their way to rescue their own flesh and blood. Like Pearl, when I learned from OxFam America of the desperate situation in the Sahel, and the need to put this situation back in the minds of people, I wondered what I could say or do that would make a difference to even one person in the Sahel. The difference between Pearl’s situation and mine is that she existed in a work of fiction (although the famine was very real); the people of the Sahel are at the epicenter of a crisis and their situation is very, very “non fiction” and we do not have to leave them behind to die. 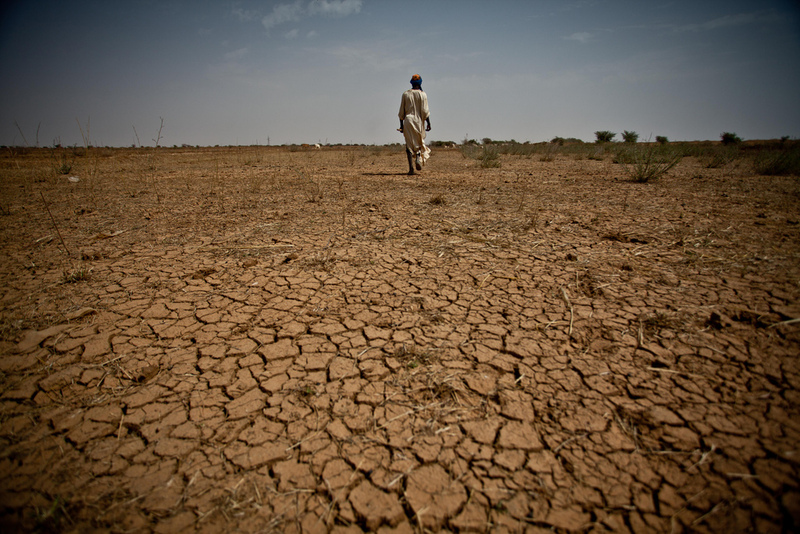 The Sahel is a region of West Africa, spanning the southern border of the Sahara Desert, where drought and rising food prices have put an estimated 18 million people at risk of hunger. This number is very likely to increase in coming weeks. Harvests were poor last year, and drought this year threatens to exacerbate a situation that is already dire. People forage for wild food and search anthills for bits of grain. 1 million children are at risk of acute malnutrition. Parents are forced to sell essential tools and livestock in order to feed their families.What can you and I do to help any of these 18 million people? There are several things. Donate online via this link. Oxfam America always aims to use your gift to help build lasting solutions to poverty (as opposed to short term fixes). Spread the word about this issue. Even if you can’t donate right now, you can raise awareness; that can make a difference too. This infographic presents the facts really well. These facts speak for themselves; they go beyond numbers and stats about this crisis; they speak to my heart and emotions. I must admit, I have a lot to learn about what can be done to increase community resiliency. It is mentioned in this informative and compelling article by Nathalie Bonvin as a key strategy to impacting this problem. Gotta say, Martin, learning more is on my to-do list! There are several graphics here that can be shared via Facebook and Twitter. Speaking of spreading the word, celebrities are investing their time and fame to help remediate the funding lag that exists. These celebrities include Kristin Davisand Djimon Hounsou. 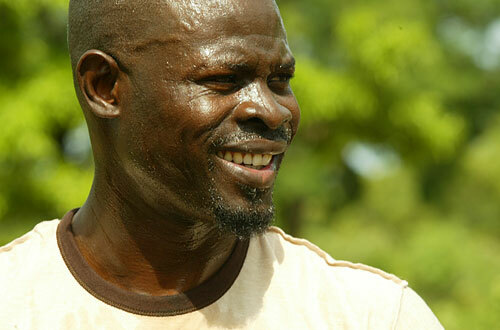 Visit Djimon Hounsou’s personal fundraising/awareness page here.